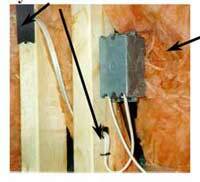 Electrical boxes nailed to studs!!! Built to last! Metal plates are used to protect you from electrical shock. Feature: All outlet boxes and switch boxes are nailed to the studs unlike floating on a thin piece of sheet rock like most of our competitors, you won't have to worry about them pulling out and exposing your family to live electrical wires or having faulty plugs that won't work or are dangerous. By moving the boards closer together you have a higher load bearing rating per square inch giving you the ability to place heavier objects anywhere you want them! 2" x 8" Floor Joists!! Because the floor joists (the foundation of the floor) are supporting the sidewalls, they need to be extra strong to support heavy objects placed on the outside wall of your home. No worries about putting a heavy waterbed or appliance on an outside wall with a Fleetwood home built with 2x8's! Which competitors do not use them? NA: 14', 24', 28', and 42' wides. Two sets of locks means more security. 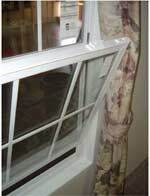 Thieves are less likely to try a storm window due to extra locks and panes. White coated frames = easy to clean. Air tight seals. No drafts means energy efficient. $aves you money. Dead air space is what gives you the insulation factor. Our storms have 3" between panes, which means more insulation space than thermals. Available in any home. Fleetwood Homes of Texas uses Phillips® made windows. 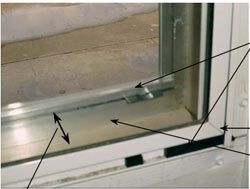 They are 63% more efficient than single pane windows at keeping your home cool. Also, they have double locks versus one typically found in homes for added safety and they even tilt in for ease of cleaning! 2 x 4 Exterior Walls! On all 16" Centers! NA - Metal sided single wides. Just like a site-built home. 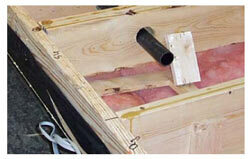 Fleetwood Homes of Texas uses 2 x 4's on 16" centers to make sure that your home is strong. Exceeds HUD requirements for strength and durability! Does the competition? Be able to fit your tall furniture (under 7 1/2') ANYWHERE you want it versus being limited with the shorter sidewall. 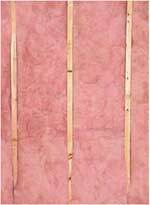 Example - what if you do not have a tall enough wall in a room, do you get rid of that piece??? Fasteners - Nails - Coated with Sencote Glue. Staples - coated with Sencote glue. Alpha System - stronger holding power. Metal straps - extra support. To ensure that our homes are the best they can be, Fleetwood uses proven fasteners with special glues to make sure your home lasts for a lifetime of enjoyment!